With two sports-mad towns in the Super Bowl this year, there is speculation that airlines may add flights into Indianapolis, the host city for Super Bowl 2012. American Airlines said that it may add one flight from New York to Indianapolis the day before the Super Bowl and a return flight the day after. It is also monitoring bookings to see if additional flights are warranted. 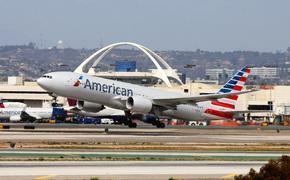 American said it can add extra flights fairly quickly. The Indianapolis Convention and Visitors Association said that downtown hotels are booked, but availability remains in hotels that are 25 to 30 minutes from downtown. IndyGo, Indianapolis’s mass transit system, will be free during the Super Bowl. Indianapolis has about 33,000 hotel rooms and 150 flights arriving and departing daily.